Time for Growth: Is your Business Suffering because of Your Aversion to Business Growth? Infinite People's Business Consultancy will help you understand the risks better and help you to make better business decisions to grow your business faster. Is your Business Suffering because of Your Aversion to Business Growth? You’re already successful, and your customers love what you offer. You’ve been doing this for years, after all, and have built your business from a foundation of innate talent, grit, hard work, and an unstoppably positive mindset. You love what you do, and you have a reputation to match. You’re formidable! You’ve had some superb wins over the years, and you’re proud of what you’ve already accomplished. Nothing is broken, nothing needs fixing, you’re in good shape. But you want more – BOOM the fear sets in! Yes, you have reached a ‘plateau’. Yes, it is mildly uncomfortable as your frustration are building up in the background. Starting up can be fun and the easy part however it is in the Growth Phase that I find as business consultant client’s aversion to risk peaks sky high. Why does risk paralyse us? 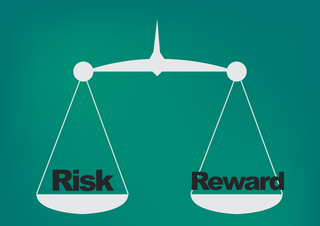 How can we overcome our own risk aversion? As a business consultant, I don’t agree with taking leaps of faith or jumping in head first. I believe on working on a two strategy approach 1) Vision of the client and 2) clarifying the key challenges or risks a client is experiencing one at a time on a step by step process of combining the decision making of the business owner with tangible systems across their business to enable them to see the process and the results clear to make easy and confident decisions to move forward. Oftentimes, risk is an illusion—people are thinking they’re facing risk but it’s actually something else. So, if you want to “cure your aversion” you’ve got to see through the illusion to what is really happening in your mindset you need work through each challenge step by step. Working with a business consultant to help you gain an outside perspective is invaluable. To cure this aversion: Ask yourself, “What is the real risk here?” “What are the beliefs driving me to see this action as risky?” “Am I actually risking my business or am I risking my adherence to these beliefs?” Sometimes the risk is real. But in those cases where the aversion to risk is greater than the risk itself, working it through in your mind can help you overcome the challenge of Where do I start, who can help, can you really scale the business, the fear sets in about paying extra salaries, doubts about handling the pressure of increasing the workload. And you think I’ll look at it later and the cycle continues. Welcome to the business club, in my experience all business owners goes through this process. Some are still there but many dug deep and took their business to the next level. You might well think that successful entrepreneurs love risk. That’s simply not true. They like ropes and harnesses! More specifically, they prefer measured steps as they head off into the unknown and try to start their new venture. They don’t like risk. They accept it as part of the game and then work extremely hard to reduce it to a minimum. But successful business owners don’t let them stop them from achieving growth. People who have started one or more ventures will tell you: You need to know how much you are willing to lose before you even start thinking about starting something new. And you need to do everything possible to make sure you don’t exceed that figure. Successful serial entrepreneurs adhere to the basic principles of risk management: If you’re going to play in a game with uncertain outcomes, 1) don’t pay/bet more than what you can expect as a return, and 2) don’t pay/bet more than you can afford to lose. How could this concept work for the rest of us? As you prepare to take action, you need to ask two questions to make sure you stay within the bounds of your acceptable loss. What can I afford to pay to take the next step, and What am I willing to pay to take the next step? 4. Personal Reputation. No one wants to be branded a loser. 5. Opportunity cost. If you are spending time on X, you cannot be working on Y at exactly the same moment, and Y, potentially, could be a far better idea. And entrepreneurs work extremely hard to limit all five. But, if I don’t take this risk now, when am I going to do it? I don’t want to wake up 20 years from now and be one of those people who talk about ‘what might have been. The takeaway is simple: If you hate taking risks, you are ready to be an entrepreneur now is the prefect time to take that next step. Your Next Step - Infinite People’s Business Consultancy will help you understand the risks better and help you to make better business decisions to grow your business faster. I’d like to invite you to my One Day Intensive Business Profitability Programme to kick start 2017, re-energise your business plan to start a new product idea. Investing in yourself and your business is so powerful. One full, intensive day spent face to face with your consultant, to move you from ‘fuzzy’ and ‘hesitant’ to ‘clear, energized, and in action’. Think of this as accelerated-business-results coaching wrapped in an expertly structured one-day package specifically for fired-up entrepreneurs. Ask yourself if I do take this step what will my future look like or will it just look the same if I take no decision? Take the step today, call me and lets discuss how we can work together to take the risk out of your growth on 07725052349.